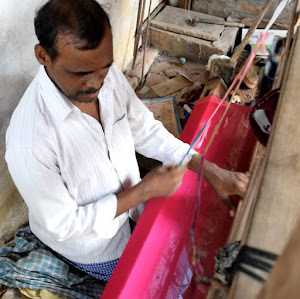 Indian Traditional Handloom Sarees: How to check whether Handloom or Powerloom Saree? Big challenging to people to check/determined Handloom sarees in a market. before buying the saree these are the chick list. Below mentioned points are very easy to find weather Handloom or Powerloom saree in shop itself. 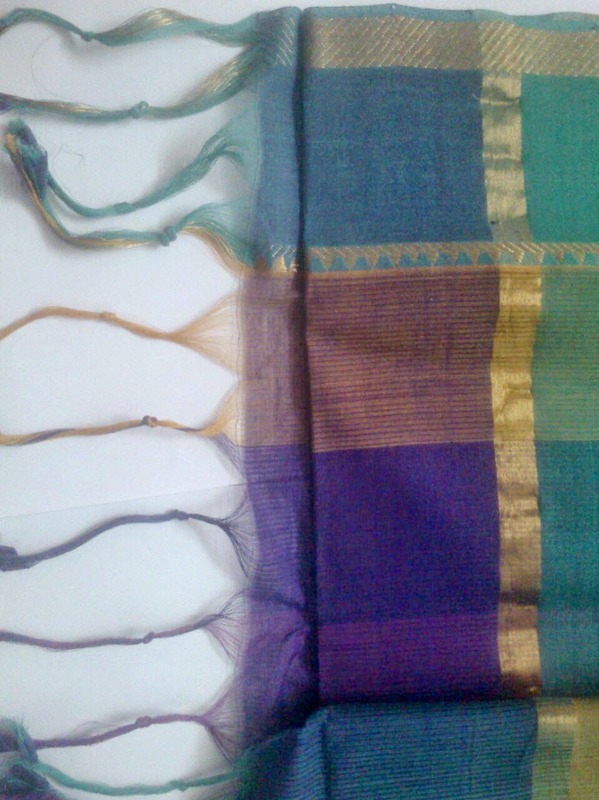 1) You can find the threads ties at the end of the pallu as shown below picture. This is main identification to determined. 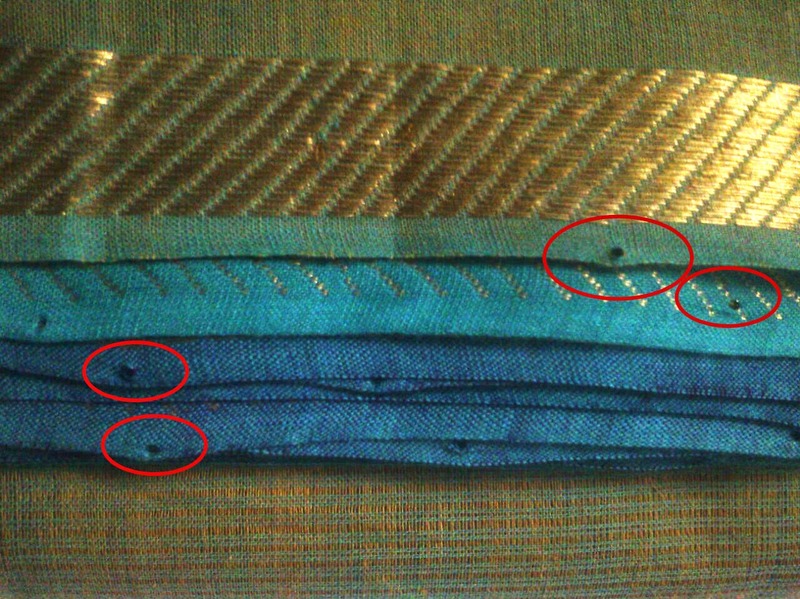 2) If you keenly observe the small holes at the end of the border both sides to the saree. These small holes created because of weaver hock the saree both side to the loom for fit into loom. This type of holes will not happen in powerloom. 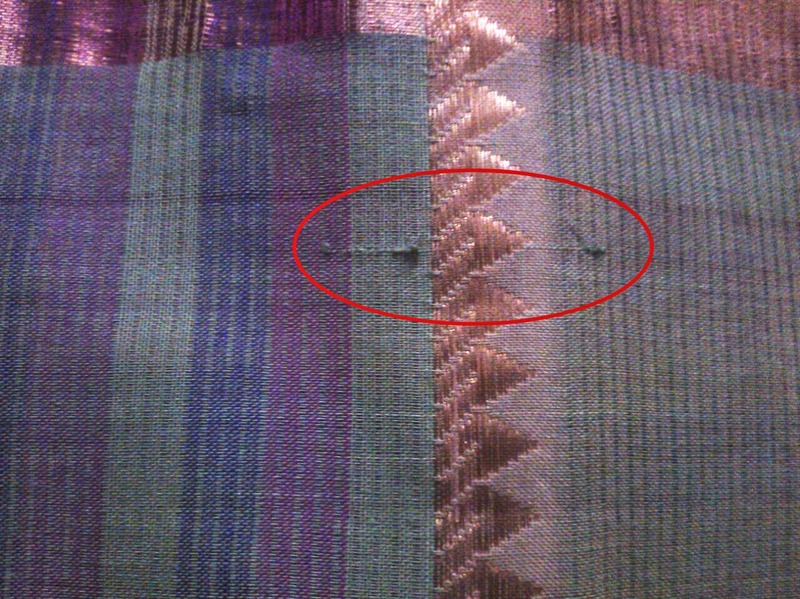 3) Generally some places thread blocking and threads are coming pieces as shown below picture, this you can find all most all handloom sarees, but is it not consider as damaged. Whereas powerloom very rare, you can say damaged saree for this blocking threads in powerloom. 4) Weft threads are not uniform, sometimes thread to thread differ gaps. You may not find this all the time for every saree!